Nothing stops us humans. Even when faced with a far too big of a gap between two pieces of land, the humans will not yield to cross it conveniently. The life of a bridge architect must be a stressful one. His calculations will initiate building projects featuring ginormous machines you never knew existed. Hundreds of thousands, sometimes millions of people will walk, drive or commute over it, day in day out. It is expected to hold for years and years too! I personally love being awed by huge structures when I’m traveling, so when I received this article written by Felicity Howlett from Holiday Lettings (a Tripadvisor company) I was more than happy to share it with you. How many of these bridges have you crossed? Let me know in the comments. 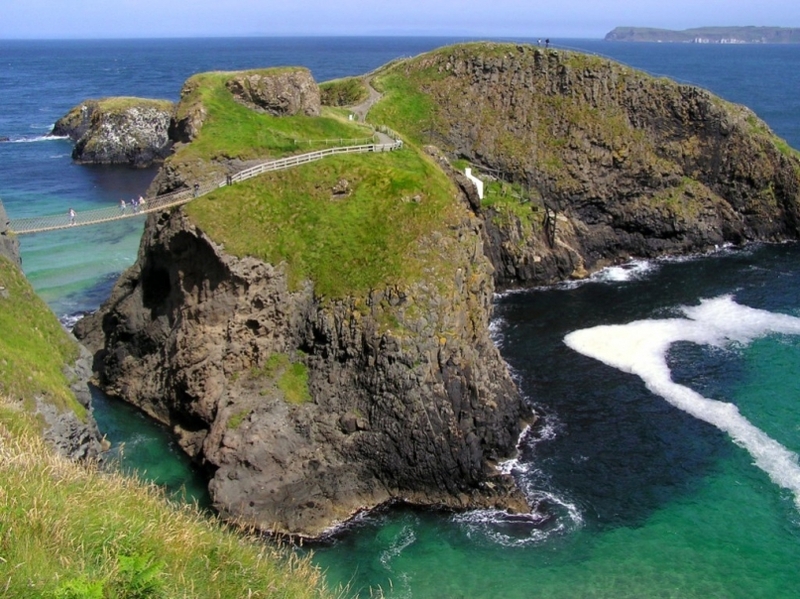 Carrick-a-Rede Rope Bridge in County Antrim, Northern Ireland. First thing’s first: the walkway may look rickety, but nobody has ever fallen off it. This quaint-looking rope structure built by salmon fishermen holds you above a 30-meter-deep chasm that’s 20 meters wide. Listen to it creak as you cross to the tiny island of Carrickarede – but once you’re there, there’s only one way back. Stroll along the coastal paths with their panoramic views and listen to the local legends. Was the neighbouring Giant’s Causeway formed by feuding giants or a volcanic eruption? Is that Dunluce Castle or a Game of Thrones fantasy? 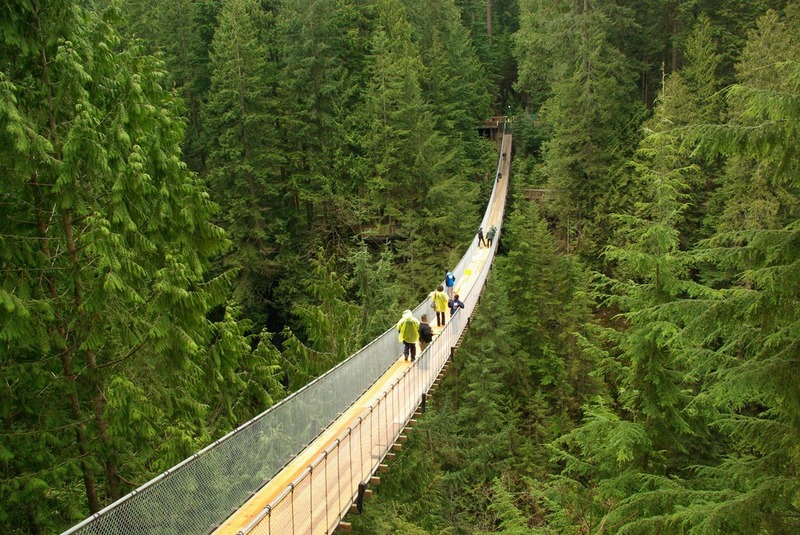 Capilano Suspension Bridge in Vancouver, Canada. Take a deep breath of cedar-scented air as you edge tentatively onto one of the world’s longest (140m) and tallest (70m) suspension bridges. It sways softly over the dramatic Capilano Canyon. Rest assured, the chunky steel cables are set in concrete. Stanley Park in nearby Vancouver is a great place to unwind. Bordered by 150,000 trees in a temperate rainforest, the park has a spiritual, natural vibe. Why not saunter, rollerblade or cycle around the sea wall? It leads you past hallmark views of the city and an impressive collection of totem poles. 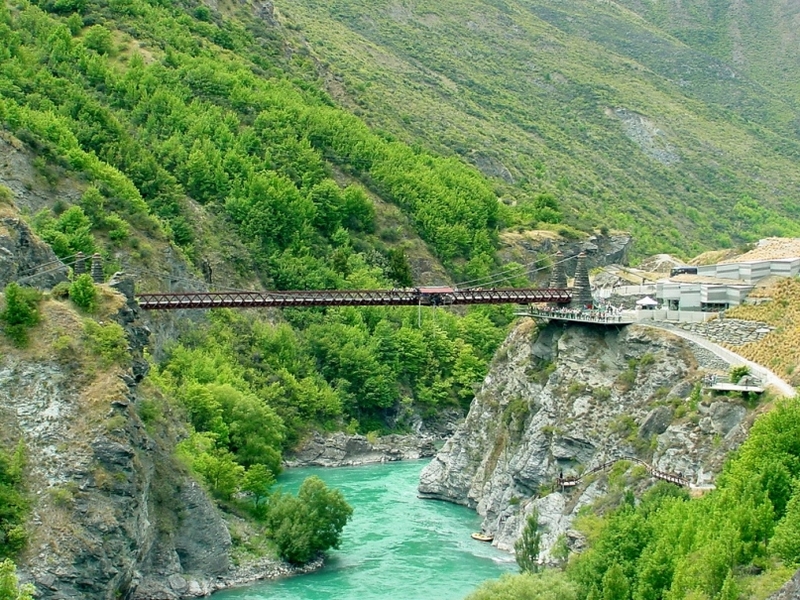 Kawarau Bridge in Queenstown, New Zealand. If looking down is not terrifying enough, why not jump off? This bridge is the birthplace of commercial bungee jumping. Jump backwards, forwards, on your own or with a friend. 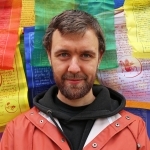 Hover above the water, touch the surface or immerse yourself fully. You’ll go from nervous to exhilarated in 5 seconds flat. Adrenaline junkies can get another fix with white-water rafting, river surfing or canyon swinging. Steady your hand with a tour round one of the local wineries – Chad Farm and Waitiri Creek are favorites. 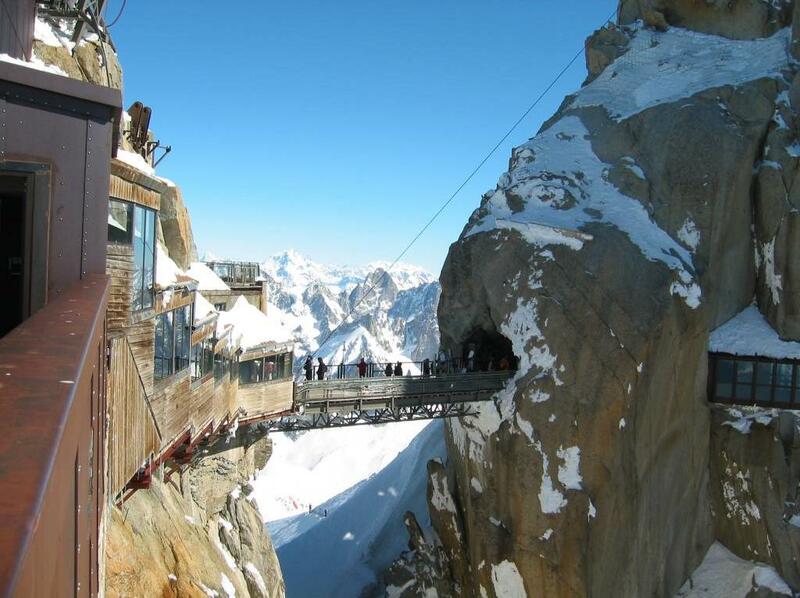 Aiguille du Midi Bridge in Chamonix, France. When you’re this high up, you’ll need to focus on the majestic alpine backdrop so your legs don’t turn to jelly. But if you’re really afraid of heights, you may not even see the bridge; it’s accessible via a 2,800-meter cable car journey. Oh, and that ride’s vertical. A two-hour trail away, you’ll find the country’s biggest glacier, the Mer de Glace. Wrap up warm and explore its ice cave, where the colors of ice sculptures and frozen tunnels change magically. Later, try your hand at dogsledding – the huskies are wonderfully affectionate. 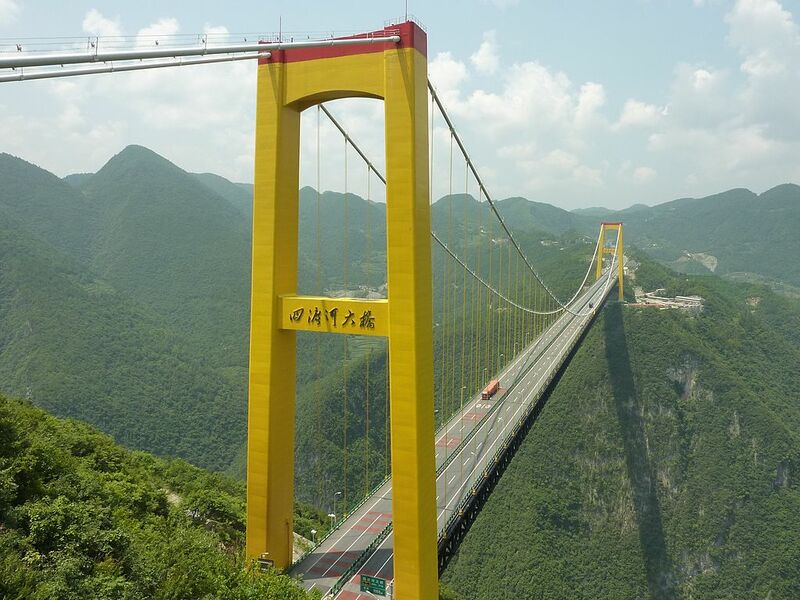 Siduhe River Bridge in Badong, China. Spanning a valley that’s over a kilometer wide and soars half a kilometer high, this feat of engineering is the highest bridge in the world. It’s so vertigo-inducing tall that Shanghai’s Oriental Pearl Tower could fit beneath it. It’s also so long that the builders needed to shoot rockets carrying its cables across the valley. Once you’ve crossed the bridge you’ll definitely need a bowl of Badong tea and local snacks like spiced bean curd, pickles and edible wild herbs. Venture onto the Shennon Xi river in a traditional sampan: the boat glides over the shallow rapids, its bottom banging on the riverbed. The nearby Gezi River Stone Forest has fantastic peaks and rock formations that look like mushrooms and dragons. I have a bit of a fear of heights, but this article makes me want to overcome it for these bridges! The one in Ireland looks especially beautiful, and I would love to see that coastline! I will have to show my husband this list and see what he thinks! One out of five isn’t bad! I can tick off Capilano Suspension Bridge off. Also, if you take the bus a bit further onward from the bridge you can get to Grouse Mountain which has INCREDIBLE views over Vancouver. You can do both in a day easily. wow, this as a super cool post!!! I’d be a bit scared but they are cool to look at! I agree, awesome bridges. I’ve spend a lot of time in the Pacific Northwest, teetering around on their bridges, but these are some intense ones for sure! The French one looks magical! The one in New Zealand is fantastic! And what a stunning view!